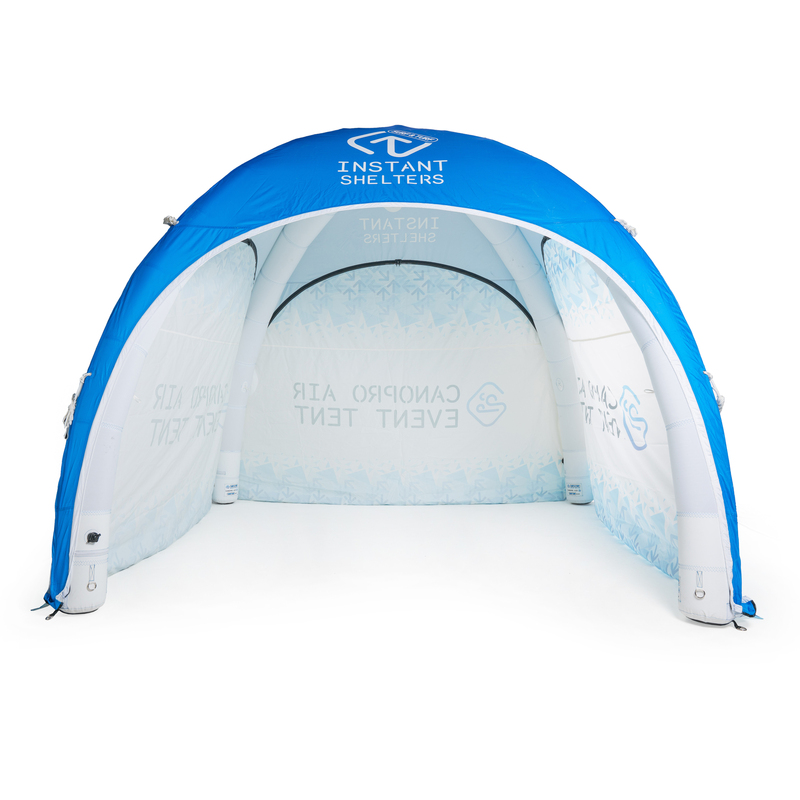 Make your event presence spectacular from 360 degress, with a valance wrap. 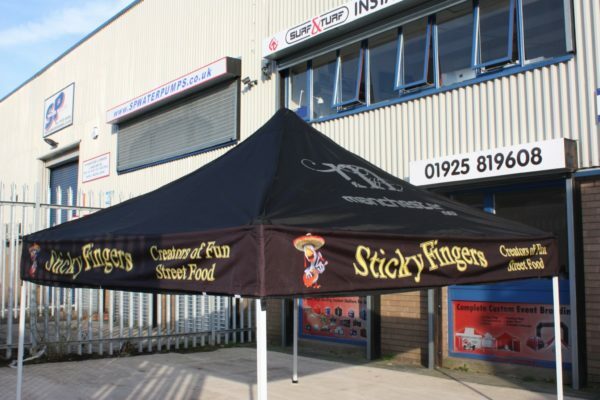 Our fully printed banners are designed to wrap around your instant shelter, creating a stunning visual effect. 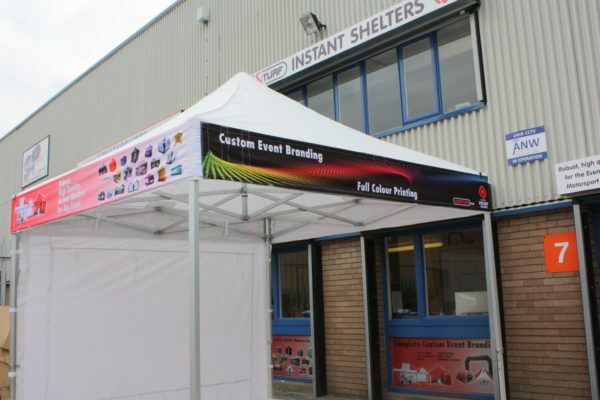 Tailored to fit any of our Instant Shelters, these banners give the look of a fully printed canopy and valance. 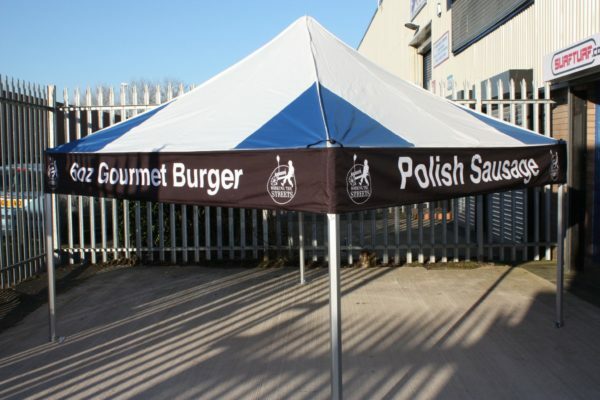 Easy to attach and remove you don’t need to adapt your canopy to attach the valance wrap. 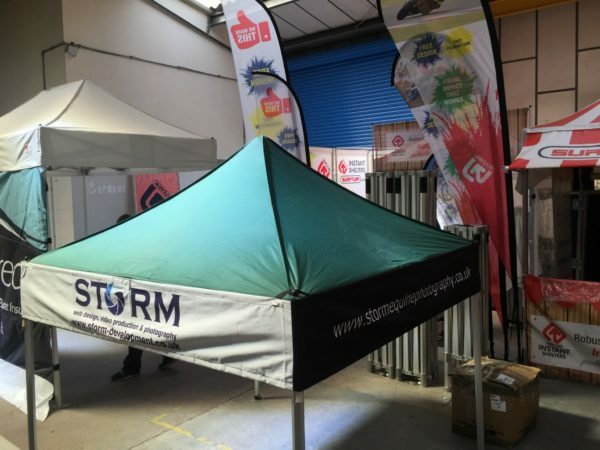 Available with full colour printing on all four sides, our in-house design team can help you perfect the branding of your banner, or incorporate existing artwork for you. 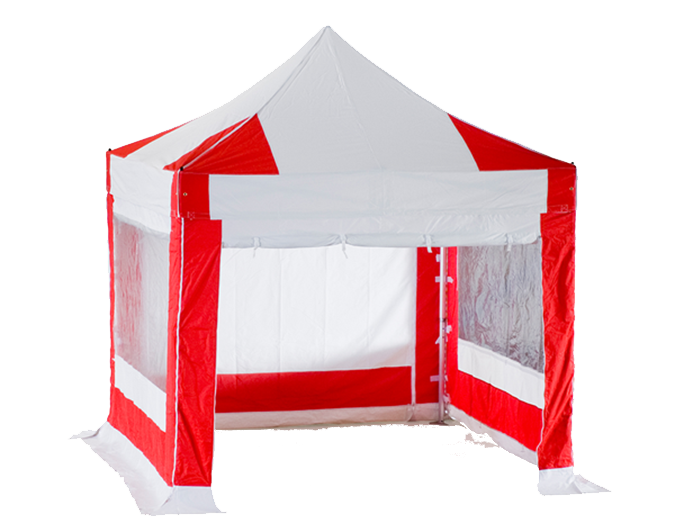 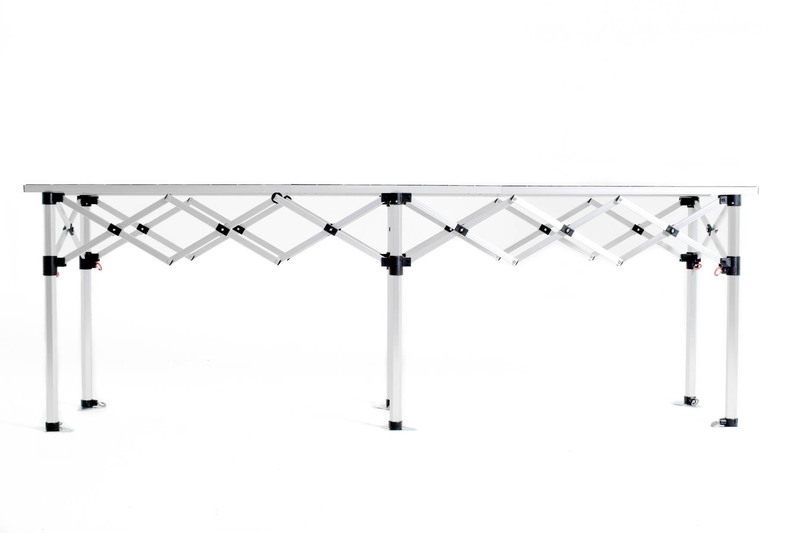 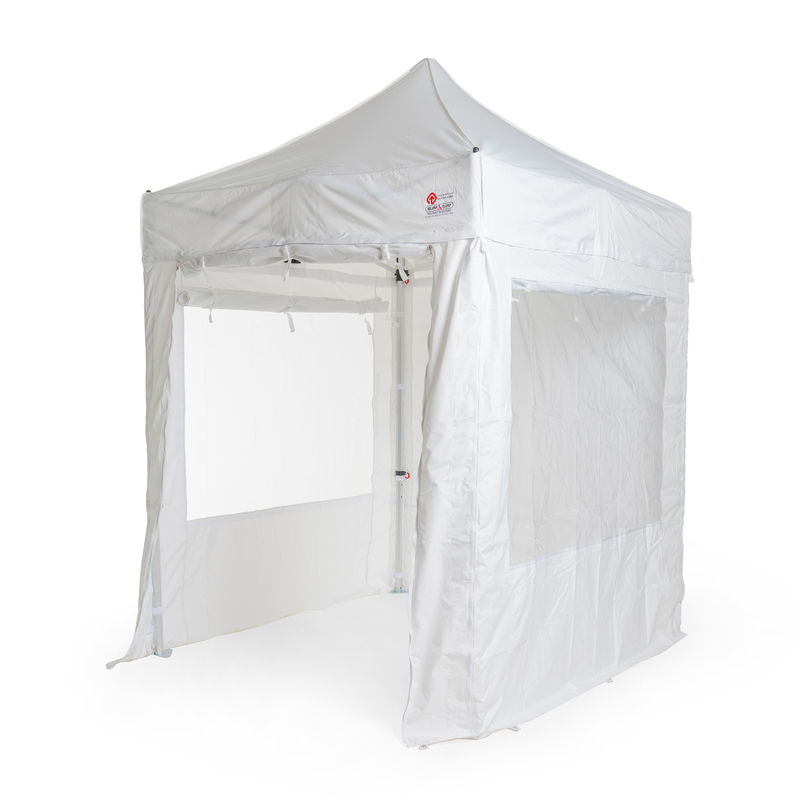 Available for all shelters up to 4.5m x 3m in size.